Master and apprentice outside Alderson’s silversmith shop just a few miles outside of Twin Falls, Idaho. “You just can’t look up in the yellow pages and find somebody that is going to help you learn the art of silversmithing or metalsmithing, and that type of thing, engraving,” says Brown. Brown found his match with Alderson. They met five years ago at an art festival near Sun Valley. Alderson was displaying Western silver gear: whiskey flasks, horse bits, money clips. And Brown liked what he saw that day. Brown kept with it. 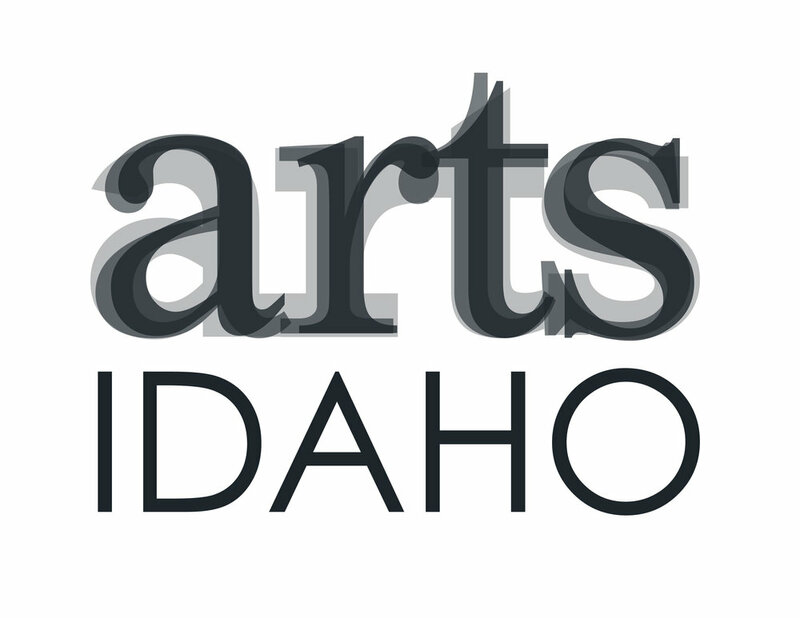 He attended a workshop with Alderson sponsored by the Idaho Commission on the Arts and after that, he decided to apply for the apprenticeship. Since July, they have clocked close to 80 hours. Brown is about to solder the floral design he cut out earlier onto the belt buckle tip. He’ll also add a rope border around the edges. “Turn your torch half a turn, here like this, not like this,” instructs Alderson. Belt buckles by silversmith Jock Brown are nearly complete. Soon, these sets will be engraved. It’s hard to learn how to form silver and engrave it from a YouTube video. Mastering the ins-and-outs of being a silversmith requires learning from someone in person. Jock Brown is apprenticing at master silversmith Dave Alderson’s shop just outside of Twin Falls. The two have met twice a week since July to work on silversmithing skills. Brown is making a belt buckle. He uses a jeweler’s saw to cut out a pattern. Dave Alderson, Brown’s mentor, observes closely and makes a suggestion. “I’d work it down just a little more,” Alderson says. “On which one?” Brown asks. “Take your pick—it’s your design,” says Alderson. Lately, Brown’s been making a long drive from the Wood River Valley to Alderson’s shop in the Magic Valley. He’s part of an apprenticeship program run by the Idaho Commission on the Arts’ Folk and Traditional Arts Program. There are skilled silversmiths in rural Idaho, but if you want to learn from one, you have to seek them out. Jock Brown cuts a floral design from a sheet of silver using a jeweler’s saw. Brown’s love of silver dates back to when he was involved in rodeo. Every now and then he’d come across a piece of gear that would really wow him. “I like all the bling and the shine and the art and how the lines and the cuts and everything kind of flows together,” Brown says. Brown learned how to make some things. But, he always aspired for more. Even after meeting Alderson, there were times when it seemed like getting there was never gonna happen. That was a turning point. Not only did Brown have more equipment, but more importantly encouragement from a master silversmith. As part of an apprenticeship program, Jock Brown is learning how to silver solder, a process by which silver chips are heated and when melted join together two pieces of metal. “Back out of there, you’re too hot,” Alderson says. He almost melted part of it. But, Alderson says Brown is improving. Alderson has a strategy for how he’ll help Brown develop patience. Brown still has a ways to go. But, even after all he’s gone through in the journey to become a silversmith, he’s decided to make it easier for the next silversmith who wants to learn. Next month, this apprenticeship comes to an end. Brown has made his first belt buckle, but what is more, he has the physical mold - and the hands-on training - to make many more. Silversmiths Alderson and Brown have been meeting twice a week to work on silver projects since July as part of an apprenticeship program run by the Idaho Commission on the Arts’ Folk and Traditional Arts program.